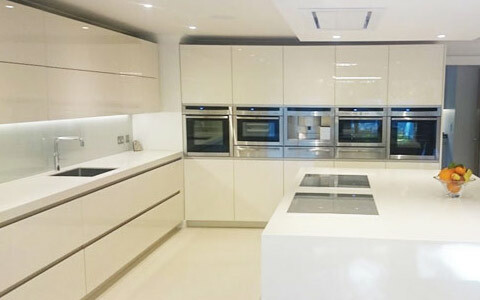 Here at Two Tone Kitchens we pride ourselves on being kitchen specialists and providing you, the customer, with the perfect kitchen and exceptional service every step of the way. 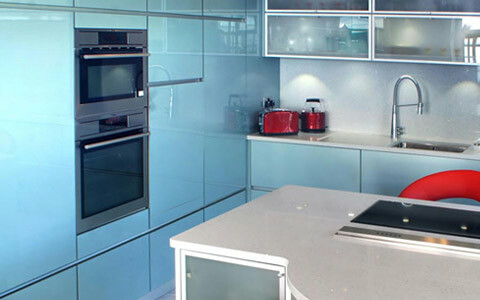 We provide a full one stop shop service for all your kitchen requirements. 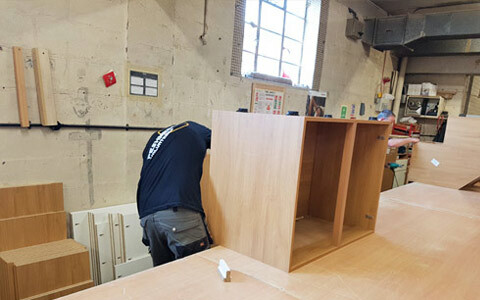 Our services include consultation, kitchen design, kitchen fitting, kitchen refurbishment, worktop fabrication, kitchen door replacements & supply of bespoke cabinets and kitchen doors. 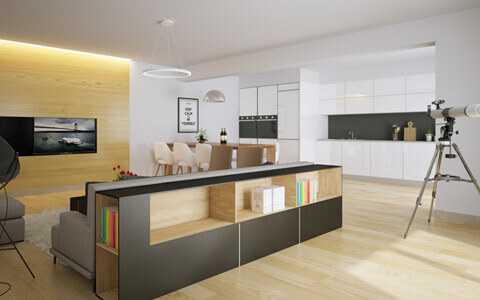 Take advantage of our 3D interior design service to create your ideal harmonious living space. Find out more about each of our services below and what makes us true kitchen specialists. Find out more about our services and what we can do for you. Our kitchen designs are modern, creative and practical but most of all shaped by your choices and ideas. 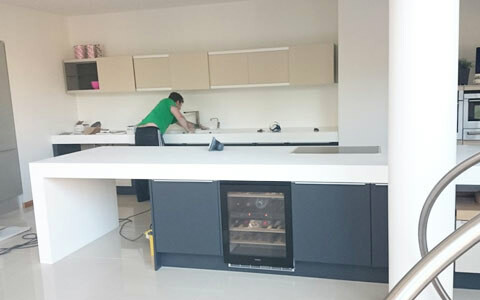 Experienced and talented kitchen fitting teams with high attention to quality fitting and small details that matter. Restore your old kitchen and create a brand new look by replacing your kitchen worktops, kitchen doors, cabinets and appliances. 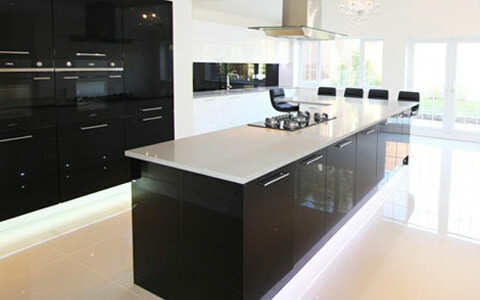 Worktops fabricated in-house, in any design, shape, thickness or size with seamless joints and unlimited customisations. Our door replacement service instantly transforms your aged kitchen into a new one. 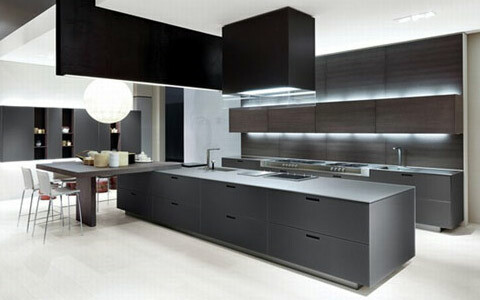 Largest selection of replacement kitchen doors in UK. Over 120 kitchen cabinet designs to choose from with the ability to customise all aspects of the cabinet. High quality cabinets. With the increasing trend of open plan living, we now provide a full 3D interior design rendering package. Our 3D rendering package creates a complete realistic preview of how your kitchen comes together with rest of your living space.